The law explicitly requires the commissioner to target a public school for transfer into the separate district and then initiate a request-for-proposal to determine who should run the school. MILWAUKEE – According to an article in Tuesday’s Milwaukee Journal Sentinel, Milwaukee County Executive Chris Abele has vowed to break the new law authorizing the MPS Takeover (“Chris Abele: Officials close to identifying schools needing services,” Milwaukee Journal Sentinel, 3/15/16, Don Behm). The law, which Abele supported when it passed, requires the creation of a separate school district run by an unelected commissioner who is appointed by the county executive. The law explicitly requires the commissioner to target a public school for transfer into the separate district and then initiate a request-for-proposal to determine who should run the school. Even though Abele knew the specific provisions of the law when he supported its passage, he is now realizing the public outrage over the MPS Takeover may cost him some votes and is changing his mind. It now appears Abele is going with the more publicly popular stance of providing struggling schools with more health and human services. This is a stark contrast to his earlier position in an op-ed in September in which Abele stated he would turn these schools into charter schools. (“Chris Abele: My pledge to MPS and its students,” Milwaukee Journal Sentinel, September 22, 2015, by Chris Abele). While Abele claims that he checked with the bill’s authors, Republican Senator Alberta Darling and Republican Representative Dale Kooyenga, about his plan and that “they are alright with that,” the reality is the that they have no authority to determine what is legal – that is a power reserved solely for the courts. 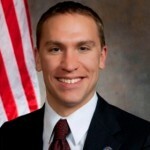 In response, Senator Larson stated, “It’s great that Abele has had an election-year epiphany and now wants to provide wraparound services for MPS schools, but he never needed a law to make that happen. He could have signed a Memorandum of Agreement at any time. 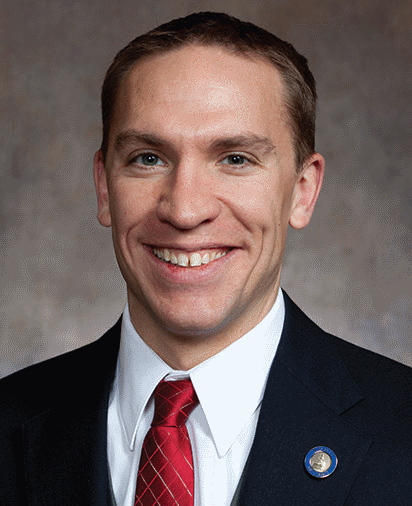 Senator Larson is the sponsor of senate bill 755, which would repeal the MPS Takeover. Mr. Larson, if elected, will you follow the supposed mandatory nature of the Opportunity Schools Partnership Program? Or will you sidestep it like Abele says he will do? You seem to be awfully upset with Abele for not following a law that you also oppose. Joe beat me to it. So if elected, you promise to do exactly the same thing that your opponent is doing? What an outrage! Former Supervisor Larson – what a hoot! Wraparound has been Abele’s objective from the get go…nice try! So, I am assuming that if you get elected you will actually do what you are saying Abele should do?! You crack me up!